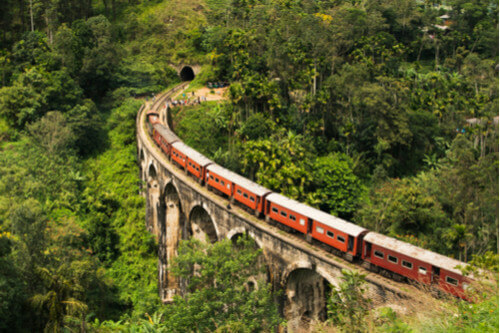 Nestled into the heart of Sri Lanka, the city of Kandy - the hill capital of the world - is the second biggest city and sits along one of the most scenic railways in the world. Kandy is believed to date back to the mid-14th century and is historically significant as it managed to retain independence throughout tumultuous periods of Sri Lanka’s history. It endured attacks from both Portuguese and Dutch rule and didn’t succumb to colonial control until the early 19th-century when the British took power. 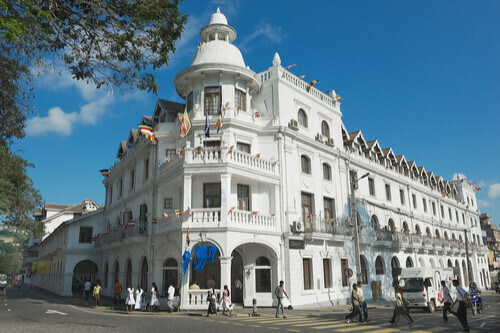 For that reason, much of the city’s original Kandyan architecture still stands, in addition to more colonial-esque buildings. Kandy can be reached by bus, car or even air, but the most popular is by train. The famed train journey weaves through lush valleys, rugged mountain peaks and tea plantations, showcasing some of the countries most spectacular scenery. Throughout the trip, passengers are free to roam the cabins and chat to fellow travellers, all the while taking in the rich vistas that follow the train through central Sri Lanka. Settle into your seat and watch as natural sights like waterfalls and rivers whiz by, begging to be photographed. There are small villages dotted along the route and regular stops at these towns allow food hawkers to board and sell their local treats. Interestingly, despite its beautiful surrounds and attractions, the cultural city of Kandy is best known as the centre of Buddhist worship in Sri Lanka. Every year Buddhists from around the world flock to the city specifically to visit the Temple of the Tooth, a building that contains a tooth from Buddha himself. Legend states that four teeth were taken from Buddha’s remains shortly after his cremation and were distributed to different kingdoms across Asia. 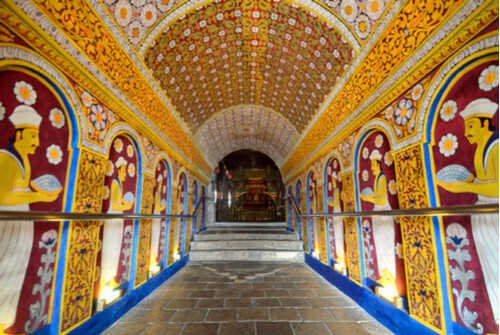 The tooth inside the temple at Kandy is reported to be the fourth tooth, which was originally given to a king in India. 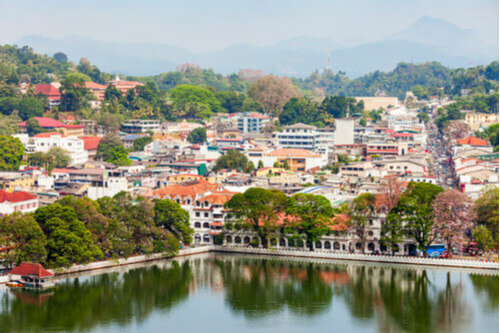 It’s believed that the tooth was smuggled into Sri Lanka in 4th-century AD and was protected by the royal family until the religious complex was built beside Kandy Lake in the late 17th-century. Today, visitors of all faiths are welcome to explore the site and learn about its ancient history. While the structures are relatively modest on the outside, the insides are extravagantly carved and covered in colourful frescoes. Enter the Temple of the Sacred Tooth and you’ll eventually come to the main wooden gallery, where devoted Buddhists leave vibrant flowers bouquets in front of the shrine as offerings. The tooth itself is encased in seven gold caskets and is only displayed on special occasions, so it’s unlikely to be visible on a regular visit. 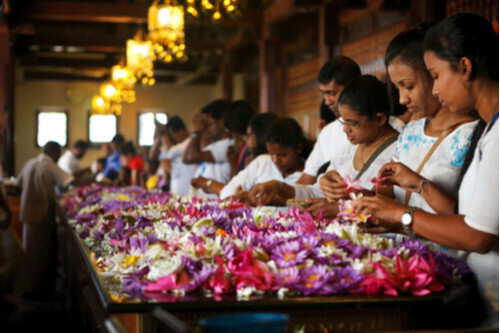 Kandy Lake is the site of the Temple, but it’s also a popular attraction in its own right. Take some time to stroll around the lake and admire its manicured gardens and idyllic palms. The lake was created in 1807 under supervision by the King of Kandy and is now home to a variety of animals like monitor lizards, birds and fish. It’s a relaxing haven away from the bustle of Kandy’s main streets.